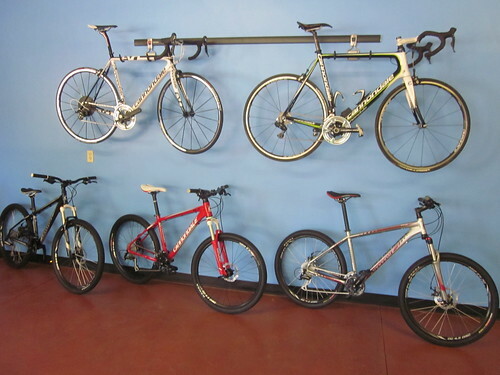 Last week I got a chance to tour the newly opened Bike Carson-Tahoe bike shop. Owner Chris Huber gave me a full tour, and showed me all the bikes he had out on the floor. While there is still work to be done to finish up the shop, it’s really looking good in there, and there’s a wide range of bikes to suit most riders. Right now the primary brand in the shop is Cannondale, a company founded in 1971. Cannondale has always been about innovation and trying new things. Not everything they have experimented with over the decades has turned out to be fabulous, but many of their innovations have definitely driven and shaped the bicycle industry. I remember when I started seeing the big fat aluminum tubed Cannondale frames on the trail back in the late 80s. Most of us were riding steel bikes, and these new frames made the bikes look and sound so cool. Today it’s hard to find a steel framed road or mountain bike in a bike shop. Cannondale continues their spirit of innovation today. 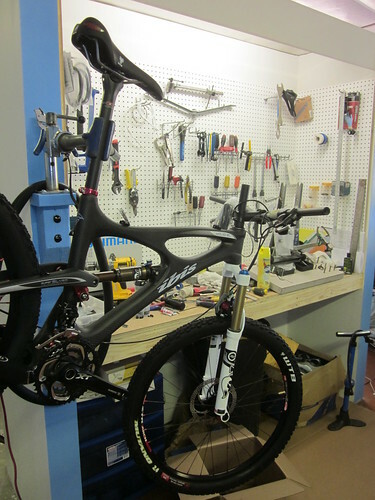 The Cannondales Chris has in the shop are most impressive, both to look at and to ride! Chris let me ride a carbon framed Flash 29er with a Lefty fork. The Lefty fork is strange to look at, but you don’t think about it while you’re riding. This bike is basically the same size and shape as my steel framed Surly, but the carbon frame gave it a totally different feel. It made me really want to get it up on the trails to see how it climbed. The Jekyll is another bike that got me drooling. 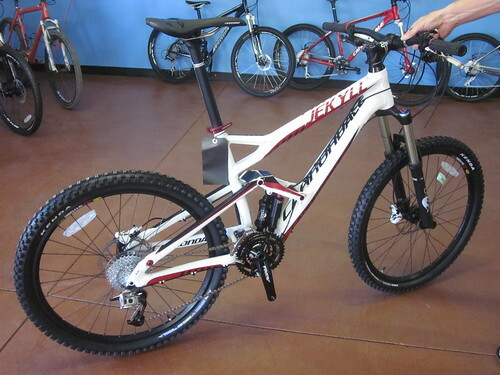 This bike is part of Cannondale’s “Overmountain” lineup. 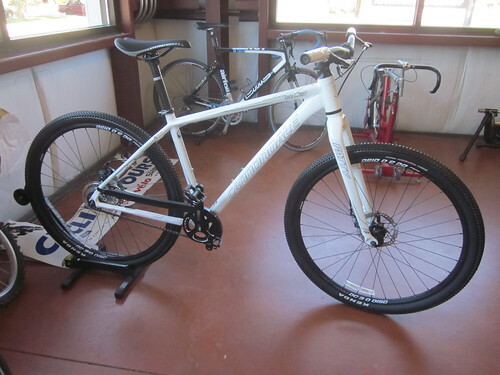 This is a bike that rides like an XC bike to the top of the mountain, and descends like a long-travel bike back down. A flick of the handlebar control totally changes the personality of the rear suspension system. 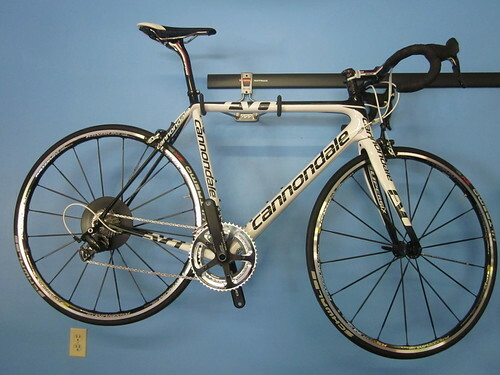 Also in the shop is the full carbon Cannondale EVO road bike. At just 13-14 lbs complete, it is unbelievable to pick up. I picked it up and put it down about 5 times. My brain just couldn’t believe what it was feeling. I can’t imagine what it’d feel like out on the road! If you’re going to ride a rigid single speed, a 29er is the way to go. Chris has an SL3 in stock right now for the rider looking for a fun simple mountain bike that requires little maintenance. Spend more time riding, and less time fiddling with the bike. 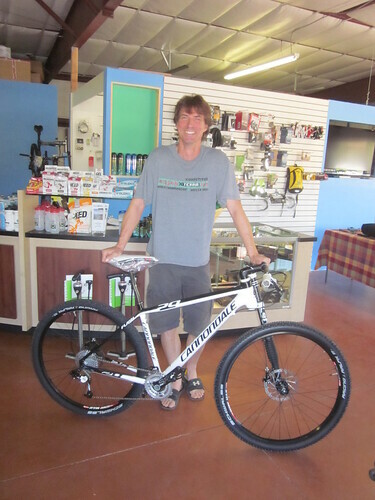 While there are many high-end bikes in the shop, Chris also has bikes at a more affordable price for people looking to get into the sport. For cyclists looking for something other than Cannondale, other brands to be featured in the shop will be Ibis, Argon 18, and Leopard. 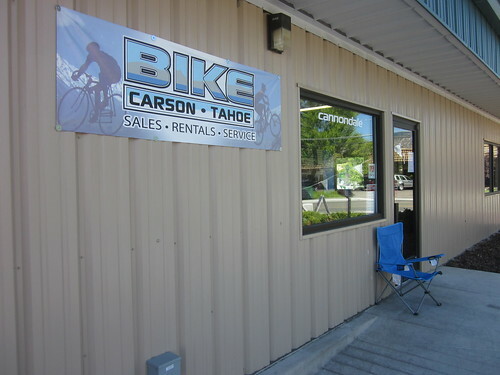 Also unique to Carson City, Bike Carson-Tahoe offers bicycle rentals. 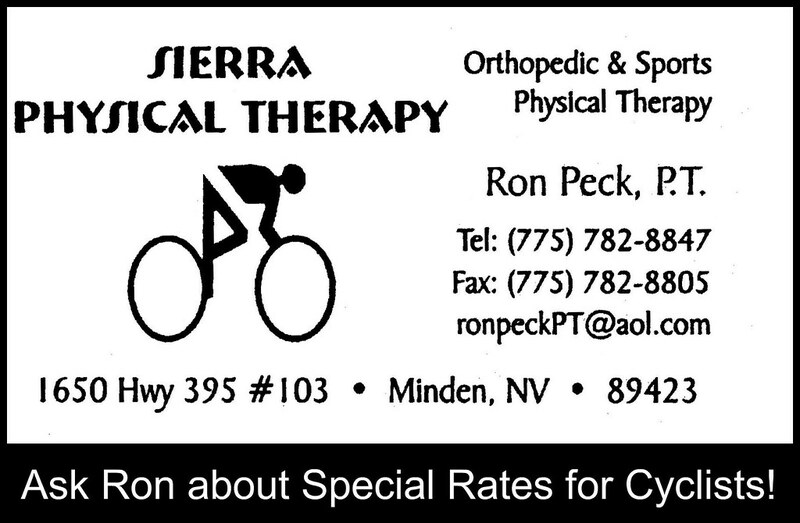 While I was there, a runner came in to inquire about renting a nice road bike for her upcoming triathlon. She said she wasn’t really into bikes, but wanted something more competitive for her race than what she currently had. 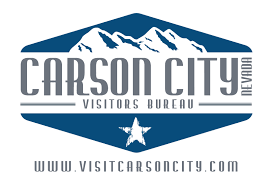 In addition to helping out the locals, bike rentals will help tourism in Carson City. Our city definitely has what it takes to become a bicycle travel destination, and having bike rentals available is definitely part of the equation. 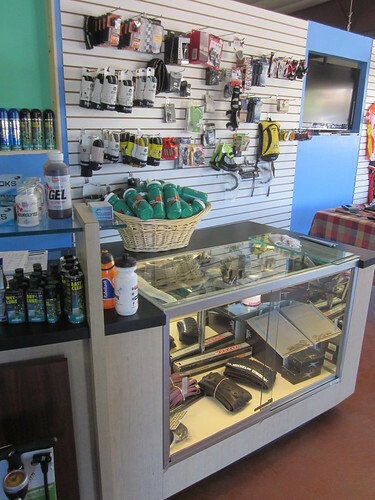 Bike Carson-Tahoe is also a full service tune and repair shop as well. Chris has worked in many pro shops, has raced mountain and road bikes at a professional level, built frames, and even once set a world speed record in a human powered vehicle at 68.73 mph! 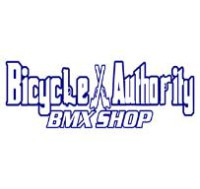 With many years of training people, fitting people to bikes, working on bikes, and designing and building frames, Chris has a wealth of knowledge and experience to offer the customer. Chris has plenty of accessories in the shop now too. 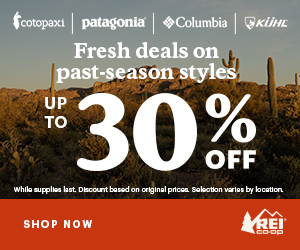 Tires, tubes, pumps, bar tape, lube, water bottles, sports supplements, and more. Everything you need to keep you and your bike going. 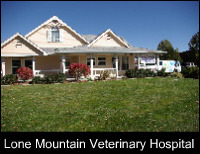 Bike Carson-Tahoe is located at: 385 Hot Springs Rd #1, Carson City, NV 89706. Just a little ways down off HWY 395.